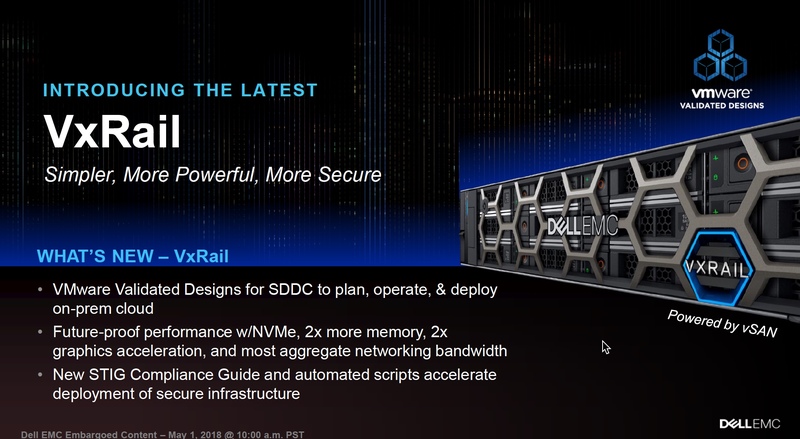 Dell EMC has announced improvements to the VxRail and VxRack SDDC platforms. VxRail: aligned with VVDs, G14 platform support and new STIG compliance guide with automated scripts. 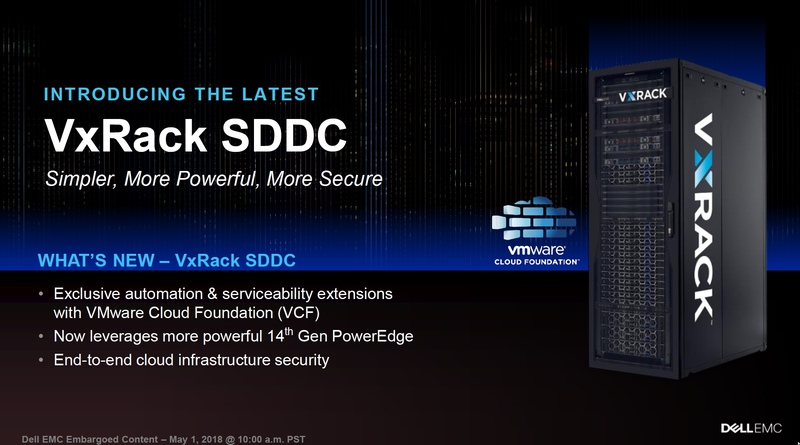 VxRack SDDC: enhanced automation and extensibility extensions with VCF, G14 platform support and end-t0-end cloud infrastructure security.